There are times when I travel and I find myself thinking (with no great level of insight of course), “Hmmm, this is different!” Earlier this month was one of those occasions. A week’s travel in Bangladesh was divided in two parts; the first comprising a couple of days in Kushtia and the second some time in Rajshahi. Both lie in the north west of the country, and my motivation for visiting each was formed from two aspirations. I’ll begin with Kushtia, where each year two festivals take place. The first in March and the second in October, respectfully marking the birth and death of a prominent Bengali figure – Lalon. I won’t delve into a deep explanation as to who exactly Lalon was as I certainly cannot claim to possess the necessary knowledge. To summarize, however, he was predominantly known for being a philosopher, a mystic, a songwriter and a free and open thinker who inspired many to follow his teachings and wisdom. As such, each year these followers congregate at his shrine in Cheuriya, Kushtia to pay homage and celebrate his life and mark his death. These festivals (known as ‘Lalon Smaran Utshab’ – Lalon Memorial Festival) take place over three days and see people come from all over Bangladesh and West Bengal to connect in song, dance and poetry. Devotees and followers visit Lalon’s shrine and many spend their days and nights enjoying the music, meditating, smoking marijuana and sleeping under the stars. I was lucky enough to attend this year’s festival. It was a fascinating event and one that I certainly won’t forget. The crowds were dense and disorientating, and the time spent there was a unique sensory experience on so many levels. The sounds, the energy, the aroma of the vast varieties of food, and the hospitality from a wide cross-section of people all contributed to an experience that left me exhausted, yet invigorated. Here is a selection of photos from those two days, which hopefully capture some of the essence of the festival. Part of the festival comprises a ‘Mela,’ which basically means fair and therefore you find a vast array of stalls selling food, clothes, wooden carvings, toys, jewellery, etc, etc. The second part of my trip took me just north of Kushtia and to the city of Rajshahi. I had visited previously, but that was back in 2012, so I was eager to return as it’s a beautiful part of the country. In contrast to the Lalon Festival, the time in Rajshahi was relaxed and a lot calmer! I explored the surrounding countryside and Puthia, a nearby town that is home to some intriguing old temples. Even within the city Rajshahi has a more laid back feel, and the wider roads remove the sometimes claustrophobic nature of Chittagong and Dhaka. As always, it was full of the joys of tea, peaceful country roads, gorgeous countryside and a life very much in contrast to the frenetic and disorienting nature of the city. I hope you enjoy these images, of which there are many! In 1999 UNESCO officially declared that International Mother Language Day will be marked on 21st February each year. I have to admit, prior to coming to Bangladesh I was totally unaware of this, but the origins of the annual observance lie very firmly and significantly in the history of this country. For some, the day perhaps offers an opportunity to celebrate cultural expression, and acknowledge the work of notable writers, poets, playwrights, etc. However, for Bangladeshis this day respectfully marks a period of their history in which lives were sacrificed and foundations put in place for an ultimately successful, but severely painful independence movement. The partition of India in 1947, resulted in the region of Bengal being split in two with West Bengal remaining part of India and East Bengal becoming a province in the newly created, Pakistan. Some years later East Bengal was renamed East Pakistan. In 1948 however, the new government of Pakistan, whose administrative center lay in the Urdu speaking, western part of the country (almost 2,000 kilometers from Dhaka in the eastern part of the geographically divided state), declared Urdu the official language of the country to be used in schools and for all official purposes. Forty-four million Bengali speakers in East Bengal now faced the prospect of being denied their basic language rights with the outlawing of their mother tongue. Prominent Bengali speakers attempted to negotiate this discriminatory language policy, but after four years, and with no sign of a compromise, students and political activists launched protests. This symbolized the beginning of the now famous language movement, and the first protest took place on February 21st, 1952, leading to the loss of life of several students. Their legacy lives on though, as their actions became the catalyst for a continued, organised campaign, which forced the Pakistan government to relent on its refusal to recognize Bengali as an official language. Those who gave their lives for the cause are referred to as the language martyrs because of their sacrifice in the fight to preserve their mother tongue, and thus each year on 21st February Bangladesh commemorates their memory. In a poignant show of respect and gratitude for the language martyrs, crowds of people, young and old, fill the streets and march in long lines towards the Shaheed Minars (‘Martyr Monuments’), on which they place flowers. The language movement became all the more significant for Bangladeshis in the years proceeding 1952, as the population fought to achieve their independence from the West Pakistan government, which (aside from just language) had consistently denied the basic rights of its Bengali speaking people in the east. Having previously suffered years and years of violent and stifling oppression during British rule (prior to 1947), the people of East Bengal were understandably yearning for freedom and the realization of some of the most basic of human rights. In 1971 the people of East Pakistan declared their autonomy from Pakistan and after a bloody and brutal war (known as the Liberation War), Bangladesh was born. The seeds of this independence movement were sown in 1952 however, with the language martyrs and their actions. So that is a brief explanation as to why 21st February has been designated globally as International Mother Language Day. In a TED talk by Suzanne Talhouk, she raises the point that the ‘best’ way to kill a nation is to kill its language. The language martyrs knew this, so they were willing to lay down their lives in order to save their language, their culture, and their identity for generations to come. It is somewhat fitting then that their enduring sacrifice is not only marked within Bangladesh, but globally and on an annual basis. This year I visited the main Shaheed Minar here in Chittagong early in the morning and below are some of the images I captured. It has been another long and inexcusable absence since I last updated this blog, but due to a welcome one week vacation, I finally found time to venture out with my camera and capture some new images that I feel inclined to share. In a break from other vacations, I decided to remain here in Chittagong and utilize the time to further explore this city and its surrounding area. I did however stick to one vacation tradition and drink an excessive amount of tea! I also slept a lot. Suffice to say it was a pretty enjoyable week. The title of this post (Chottogram) is the the name of this city in its local Chittagonian dialect (Chatgaya), which differs a little from Bangla and is mainly spoken in the southeast of the country. Despite being here now for almost 6 years, I still never cease to be enthralled by the sights and sounds around me. I hope you enjoy the following images. 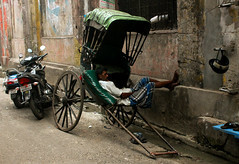 Back in March I spent a week in the south west corner of Bangladesh. I was in Barisal Division, and enjoyed a wonderful few days exploring Barisal city and the surrounding countryside. Barisal (pronounced Borishal) is essentially a port city, and during my time there several locals predicted that in some years it will become one of the most important in South Asia. At present though it’s a fairly relaxed port and doesn’t match Chittagong for its activity and freneticism. The area is also known for its abundance of rivers, which cut through the land and inspired some to crown this area the ‘Venice of Bangladesh.’ As I roamed the countryside, it was easy to see why,. I also made a trip down to Kuakata, a peaceful and as yet largely underdeveloped seaside town, which sits at one of the southern most points of this country. Known for its long beach that stretches for 18 kilometers along the coast, Kuakata is also an attraction for visitors due to the unobstructed views of both the sunrise and sunset peacefully enjoyed here daily. As in previous blog posts, I will let my photos tell the story of my week in the south west of this beautiful country. The title of this post is a lyric from Amar Shonar Bangla, the national anthem of Bangladesh, written by Rabrindranath Tagore. This means, “Forever your skies, your air, plays a flute in my heart.” It’s an ode to this region of the world that never fails to delight, and for good reason, instigates immense pride from those who live here and call it home. I hope you enjoy the following images. The name was etched, deep into my mind by the end of the day, and it’s my own fault quite honestly. My chosen method for traveling within Bangladesh more often than not exposes me to a carnage that rears its head when I decide to select a random name on the map and voyage there. This carnage is obviously caused entirely by my own doing rather than the location I would like to point out. When I began writing this post, I was in Barisal, and as the map below indicates, this is a region in the south west of Bangladesh, which in many ways encapsulates the stereotypical image people hold of this country; one of endless rivers and waterways, of dense, green paddy fields, bustling markets, and incredible hospitality. Anyway, back to the now infamous (in my mind at least) Sho-ro-di. I made the decision to venture to a place which bore no mention in the Lonely Planet guide for the Barisal region. I’ve adopted this method previously on my travels within this country, and if truth be told, it tends to deliver mixed results. Today was no different. I scoured the map for a little while and searched names of towns or villages that lay within an hour by bus from my base in Barisal. The reasoning being that one hour is far enough to feel a little adventurous, but close enough to (hopefully) avoid becoming stranded by nightfall. There were three or four contenders, but in the end I settled on Charadi, which in my misinformed mind was pronounced Cha-raaaa-diiii. Having identified my chosen place for the day, I filled my bag with the essentials for such an escapade. A fully charged camera, water, sufficient taka, and of course sun cream (for the weak, fragile body I possess), and upon leaving my hotel room, I was filled with the familiar sentiments of excitement and trepidation. The hotel manager kindly told me which bus terminal to head for and thus I confidently requested a waiting rickshaw driver to take me there. He had a broad smile and the stained, red teeth of a man who regularly chews tobacco. Traffic was congested with early morning commuters, heavy goods vehicles and sporadic roadworks. Nevertheless, undeterred by this and the increasing heat, my driver ploughed on resiliently and with a kind of do or die attitude that whilst admirable, made for an anxious journey…on my part. Anyway, we reached the bus terminal and I bid farewell to the rickshaw driver and part one of the mystery tour was done. Or so I thought. It became apparent in no time at all that reaching Charadi would not involve the straightforward task of jumping on a bus. Failure to acknowledge the vital component of correct pronunciation was my first mistake, and when I greeted the bus counter chap with Cha-RA-di, a blank look faced me. I then tried CHA-ra-di, which once again drew puzzlement. Cho-ra-di, Cha-ro-di, Chooooo-od-iiii, Chaaa-raaaa-di, Cha-laaa-di, Cho-looo-di, all followed, until finally someone gasped excitedly, “SHO-RO-DI!” and there were knowing nods all round. Relief and joy soon turned to disappointment however, as it turned out this was not the correct bus terminal at all, and after the small conference involving me, three men from the bus terminal, one man from the adjacent tea shop and approximately seven other interested onlookers, which eventually identified Sho-ro-di as my desired destination, it was concluded that I was to head back in the exact direction I had just come from. The day was young however, and I was still in relatively high spirits, so this detour in no way hampered my enthusiasm…yet. I made my way to the launch ghat (ferry port), but frustratingly my mastery of the pronunciation was once again below par and this time it took two policemen, one ticket vendor, and three recently disembarked ferry passengers to decipher my ramblings. “Aaaaah, Sho-ro-di!” once again filled the air with a mix of triumph and relief. A small boy was enlisted to guide me to the correct boat. One minute he was sat minding his own business, and the next he’s leading me through a small market to the water’s edge. He did earn 20 taka for his due diligence and effort though. After a short journey on a small passenger boat, I arrived on the opposite riverbank and a kind, older gentleman directed me to the bus I needed to reach the now almost mystical town of Charadi. To be honest I don’t think a great many foreigners ride the local bus to this town, so my presence generated a few double takes. Initial impressions of my destination were not altogether positive. The first part of the bus journey involved a broad and dusty main road, littered with plastic bottles and other trash, and I wondered if the beautiful scenery that I’d set out to capture with my camera lay somewhere faraway from here, perhaps right back in the opposite direction, but as we took a left turn off the main road, my hopes for Charadi picked up. While the road quality deteriorated, the surrounding countryside did the exact opposite and seemed to be rejuvenated with a surrounding landscape of dense green trees and glistening streams. Small villages bordered the winding, bumpy road, and after about fifteen minutes of this view through the bus window, we came to a halt. I had made it, some two hours after setting out. Over the course of the subsequent hours, I spent my day drinking tea, wandering through the small town and neighbouring countryside, and even visited a local primary school! Was it worth it? Well, hopefully the following photos will answer that question better than words can. However, what I will say briefly is that I once again encountered a beautiful corner of this country, and in my next blog post I’ll share a series of photos from a week spent in the south west, which will hopefully demonstrate the incredible joy of travel and adventure. My cricket-playing days began ‘properly’ shall we say at the age of 12. This basically means that I ditched the tennis ball and moved up to the real leather cricket ball and in the process soon became acutely aware of why cricketers wear so much padding. If I were to describe my cricket prowess I would say I’m a moderately fortuitous swing bowler and sporadically stubborn number eleven bat, learning (and unlearning!) all I needed to know about the game in the picturesque English village of Cockington, South Devon. It was during this time as part time scorer, part time bowler, and full time scone eater, that my love of the beautiful game of cricket took root. The Devon D Division West (2nd XI) title winning medal from 1999 that now sits tucked away in a box at home, and a match saving 11 not out with the bat are proud moments in an otherwise unremarkable cricket playing life thus far. Nevertheless, my enthusiasm for the game remains undiminished and my international employment in recent years has led me onto the path of some fairly random cricket encounters, which include cameo appearances for Prague Cricket Club, the National University cricket team in Butare, Rwanda, as well as almost playing against the Suriname national team in Guyana…until rain stopped play. Here in Bangladesh I spend a great deal of my free time exploring the country armed with a camera, and for the past few weeks I have been photographing (and occasionally joining in!) local cricket matches around the city and surrounding areas. The continued growth and rise of the Bangladesh national team (or ‘The Tigers’ as they are proudly known) has reignited the public’s interest and passion for the game, and recent one day series wins against South Africa, India, and Pakistan is a key reason for this. No longer viewed as a minor or emerging force on the international cricket stage, Bangladesh now command real respect, and the England team that recently toured here found out exactly why. The following photos were all captured in and around Chittagong and depict the love of a sport that continues to capture the imagination of many of the 160 million proud Bangladeshis, especially young players who dream of emulating their heroes. Please do not be fooled by the title of this blog post. It is most certainly not a bold declaration of my deepest feelings, frustrated emotions, or innermost secrets. I am however, going to use this post to share a collection of photos, which captured some great moments during a summer spent between India and the UK in June and July of this year. The summer began with a trip to Kolkata and then a few days spent in Gingia (a small town in Assam). The main purpose of the trip was to see old friends and hopefully catch some photos along the way. Here’s a few of those images. The second part of the summer was spent back at home in the UK, and it began with an experience I had been awaiting with great anticipation for a very long time. Back in 2003 I discovered the music of Love (a 60s psychedelic band from LA) and in 2005 I saw them play live for the first time. Eleven years on they were back in the UK and I went to see them twice on consecutive nights. They were as tight as ever, and the highlight of the second night was meeting original band member and lead guitarist on their 1967 seminal album Forever Changes, Johnny Echols (below). Here’s a video I recorded at one of the shows. The rest of the images come mainly from some of my favourite places in Devon. In May 2012 I wrote a blog about a quite unexpected and spookily coincidental discovery in a secluded and quiet corner of Chittagong. I’ve always been quite proud of that blog post as it (in my humble opinion) revealed how despite the apparent vastness of this world we live in, you never quite know when something will happen to remind you that it is in fact not quite as big as we think. Below is the link to that original blog post, but just to recap very briefly, back in 2012 I took a visit to the Second World War cemetery in Chittagong. Now, here is the eerie part; the very first headstone I looked at and took the time to read the biography of, was Flight Sergeant W.C.Smith, a fallen pilot from Torquay, which, and this is crucial to the story, is my hometown and place of birth. In November 2012 and a couple of months after I wrote about that unique experience, it was published in the Herald Express (a local newspaper) and that was the end of the matter…or so I thought. A few days ago however, it came to my attention (thanks very much Brian!) that just a little under fours year since the original publication in the newspaper, a letter had emerged on the Herald’s letters page. A letter from one of Sergeant Smith’s relatives and a person who had grown up with him. Regarding your article by Mr Stanlake with reference to Flight Sergeant William Smith RAF (Herald Express November 15, 2012), a cutting from this issue was brought to my attention some time ago. Having just ‘rediscovered’ it, I would like to give Mr Stanlake more information about his visit to the war graves in Chittagong, Bangladesh. I am Bill’s cousin and knew him and his brothers well when we were growing up – a visit to Torquay from Gloucestershire was always a great event for me. During the war (1942 to 1943), Bill was stationed in the Cotswolds for part of his training as a pilot in Bomber Command and he would sometimes stay with us on short leave. We always enjoyed his company – he had a great sense of humour. It was his fear that, as pilot, he would be responsible for the death of his crew, but on that fatal day he was acting as co-pilot with another plane and crew. We were told the plane failed to take off with a full load of bombs and crashed into an irrigation ditch at the end of the runway. Mike, his brother, also went into the RAF – as a fighter pilot – but the war ended while he was still in training. Unfortunately, it was never possible for any of the family to visit Bill’s grave, so it was very consoling to read of the peacefulness of the cemetery and how well the graves are still tended after all these years. It was fascinating for me to read this letter as it obviously filled in a number of blanks about William Smith’s story and how exactly he came to his final resting place in Chittagong. There were mixed feelings of course when reading it, as it provided a personal and warm reflection on Sergeant Smith and his life before the war, but also the details of his tragic death at such a young age. I am happy and relieved in many ways to discover this story did make its way to Sergeant Smith’s family though and they can hopefully take some comfort in knowing that his grave is still immaculately tended to and offered the peace and respect it so deserves. Once again I think the whole experience demonstrates how sometimes it does not matter how far we travel or wander around this world, there is often a connection to home just around the corner. I like milestones. They provide a satisfying sense of accomplishment and achievement whilst ensuring the preservation of a little focus and direction. This post is a celebration of one such milestone. April 9th, 2016 marked exactly 5 years since I first posted on this blog. It’s a pleasant feeling to know that despite the many twists and turns, the sporadic uprooting, the hellos and the goodbyes, and the often unplanned wanderings, I have still found time to regularly (well, kind of regularly) update and commit part of my energy and heart to this little project. A project that began with the somewhat vague aim of recording my ramblings has now grown into a means by which to document a multitude of experiences that came along the way. What this milestone also represents is that it is now a little over five years since I arrived in Bangladesh. When I think back to that time (March 2011), I really had no idea I would remain so long in this country, but I don’t regret it one bit. I arrived on a short term contract with a cautious ambition to perhaps extend that to a year. Five years on I’m still here aside from a one year sabbatical (of sorts) in Guyana. Bangladesh has been good to me, and I am very grateful for that. I can’t really believe how quickly the five years have flown by, but in that time I’ve been lucky enough to explore this country a little and also travel to Nepal, India, Cambodia, Myanmar, Vietnam, Sri Lanka, Laos, Bhutan, Thailand, and even back to Rwanda a couple of times. Most importantly though I have been lucky enough to work in a job that has inspired me to grow and learn. I’ve been surrounded by some fantastic colleagues right from the start, and they have been a source of constant knowledge whilst encouraging me to change and develop my outlook on many, many things. I have of course also been privileged to teach and work with students who have taught me far more than I have them. As always with these short posts that mark a milestone, I prefer to let images tell the story, so here are a few which I think sum up just why that tentative first few months turned into five years and provided me with so many amazing adventures under this one sun. One of the most frustrating aspects of social media is the simple fact that stories about complete idiots are thrust directly in front of your face on an almost daily basis. Anyone who saw my Facebook page in the past week or so may have noticed one such story. The news I’m referring to is surprisingly not about Donald Trump, Jeremy Hunt, or Sepp Blatter (although this trio are worthy contenders), but rather revolves around a group of people who epitomise the ignorance and disregard demonstrated so often by the human race to other creatures. A dolphin plucked from the water and passed around like a trophy so that bronzed beachgoers of all ages could pose and take ‘selfies’ with it. Once the selfies were complete, the dolphin had inevitably died. Because you see, what these humans had so crucially forgotten, is that dolphins can’t survive for prolonged periods outside of water, and what those people now have on their cameras, or smart phones, or whatever they were using that day which caused them to lose all sense, is a selfie with a dolphin who died because of them. It happened in Argentina, but this could be anywhere in the world, and the flagrant disregard for the life they passed around in their hands that day sums up the arrogance and sheer contempt we, humans, demonstrate on a daily basis. It left me totally exasperated once again, as it seems there is not a week that passes without tales of sheer moronic stupidity claiming yet more animal lives. Whether it is a wealthy dentist shooting an innocent and treasured lion, Russian circuses forcing polar bears to dance, or puppies used for target practice, there is no limit to our cruelty and indifference. However, despite all of this, there is hope, and I have witnessed a few examples here in Bangladesh. Obhoyaronno is an animal welfare foundation formed in Dhaka in 2009 and has carried out some fantastic work mainly in the Bangladesh capital to rescue animals and educate the local population about animal welfare issues. The organisation has successfully campaigned to have dog culling in Dhaka cancelled, and they regularly carry out dog vaccination programs in the city. They have a large community now of like-minded people who will alert others about any cases of animal abuse or animals in trouble. Dog Lovers of Bangladesh is an inspiring facebook page dedicated to, well…dogs of course. The members on that page never fail to amaze me with their dedication to the welfare of dogs here, and there are often emergency posts regarding an injured or distressed dog sighting. It is not uncommon for this to be followed by an immediate and robust response from other members of the group who mobilize and swiftly locate the dog, whilst doing all they can to source the care it needs. Other members often chip in with cash donations, and before you know it, a dog once destined to lie dying next to a busy road, has been scooped up and given the life-saving treatment it so gravely needed. The members of this group are caring, conscientious animal lovers who provide a reminder that all is not lost. Finally, there is a group somewhat closer to home for which I have the utmost admiration; The Asian University for Women (AUW) Animal Welfare Club. Created just over two years ago, the club has grown steadily and in that time initiated a number of projects aimed at implementing clear strategies for improving the welfare of animals. In truth due to the modest size of the club and its limited financial capacity, the focus has been on street dogs and cats. However, the lack of funds has been no deterrent to the club members, and driven by their passionate club president and founder, Mandy Mukhuti, they have already played a significant role in making tangible changes in the lives of many animals. Since its inception in 2013, the club has visited primary schools to educate young children on how to treat animals. They have also initiated a daily feeding program, which entails collecting leftover food and feeding street dogs in the vicinity of the campus. The success of this is highlighted by the fact these dogs now know and recognise the members of the club when they come calling with their plastic container full of food! The club has also rescued several cats and dogs and successfully found homes for many of these animals. Finally, this past weekend they arguably reached the peak of their success thus far. Having spent a few months raising necessary funds, they teamed up with local veterinarians and students from other universities and set about successfully vaccinating two hundred dogs across the city in just a single weekend! It’s a remarkable achievement given the constraints they experience and a testament to their passion and commitment to such a worthwhile cause. I’ll leave you with a collection of images taken during my time here in Bangladesh, which show a number of the animal friends I’ve made. This family lived behind our building and the puppies provided hours of fun, yet immense stress! We managed to find homes for most of them, but a couple sadly fell victim to the unforgiving main road that lay just far too close for temptation. At present I also regularly feed Tommy and Rocky who live on our road, and whilst this is just a very tiny act, I believe that the bewildered, yet intrigued gazes I receive as I sit feeding the dogs do go some way to showing people that these dogs are not angry beasts who should be avoided at all costs, but actually friendly animals who just need a bit of love and a friendly face. Step by step we can make a difference, no matter how small that may be.